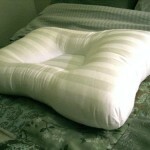 Home » Anti Snoring Pillows » Can snoring chin straps work together with anti snore pillows? It is not a very common question, however, it is a smart one, that is: can you use a snoring chin strap as well as an anti snoring pillow together to make a bigger difference on reducing or eliminating your snoring? Saying briefly, if we look at the design and purpose of the snoring chin strap we can see that it is a snoring device which is fitted well around the head with the purpose of keeping the mouth shut which forces the person to use their nose for breathing and therefore eliminate the snoring caused by an obstruction, for example, of the tongue or tonsils. 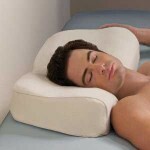 To keep it short, the anti snore pillows are designed in such a way as to make a good alignment of the body, between the spine, the neck and the head and therefore create a larger opening for breathing. Then there are also the versions which support you to be in a certain sleeping position such as training to become a side sleeper. 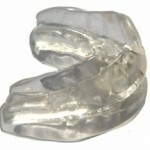 Again, this is focused to reduce snoring by manipulating the air passage size. Is there an obstacle to use both of these snoring devices? Just from a technical or physical point of view, the snoring chin strap can easily be worn at the same time as using an anti snoring pillow. You actually already do this with a regular pillow. 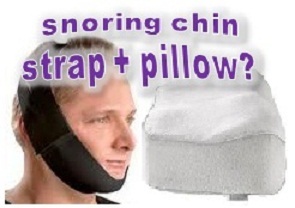 I know that the special designed snoring pillows of course tend to be of different shapes and sizes, but still, this should not interfere with you wearing the snoring chin strap. Does it make sense to do this for snoring? There is some logic to do this. For example if there is an obstruction in the back of your mouth which is also partly closing the breathing passage in the pharynx then the snoring chin strap will play the role in moving your breathing to your nose and the anti snore pillow will do its part to increase the width of your air passage and therefore together they can add each other’s benefits and give a greater effect than individually per device. However, such cases must be pretty rare, so it is very difficult to give a recommendation based on the technical or physical aspect of snoring. 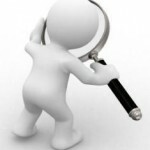 However, if we look at the price of snoring chin straps and anti snoring pillows as snoring solutions then it is easy to see that these things are relatively cheap, so given that your sleep and the sleep of your family is practically priceless, I would say just go ahead and give it a shot and if it does not work then you only lose a little bit of money. (Of course if your wealth is limited then look to identify the exact cause of your snoring so you can solve it with minimum cost).